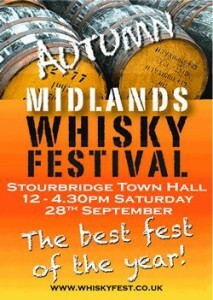 Well, we are so excited about the upcoming Midlands Whisky Festival taking place on our doorstep this weekend! 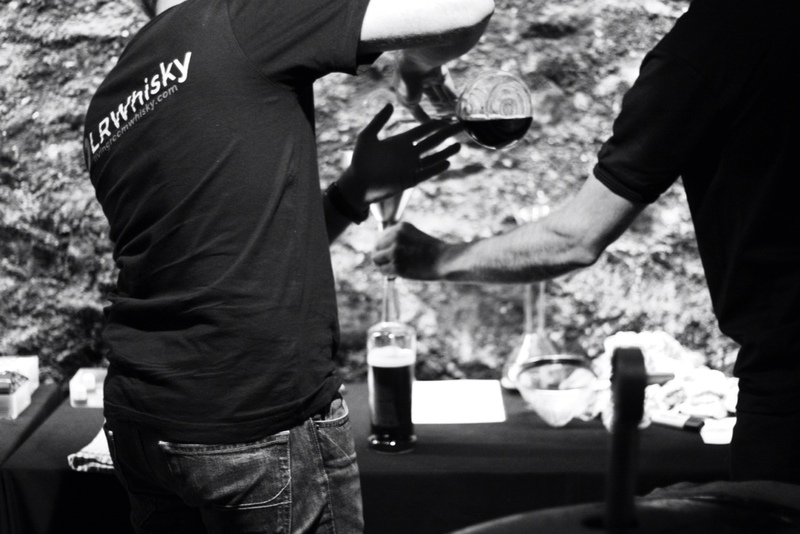 Nickolls and Perks, purveyors of fine wines and stupendous spirits will again be hosting one of THE whisky events in the Midlands this year! 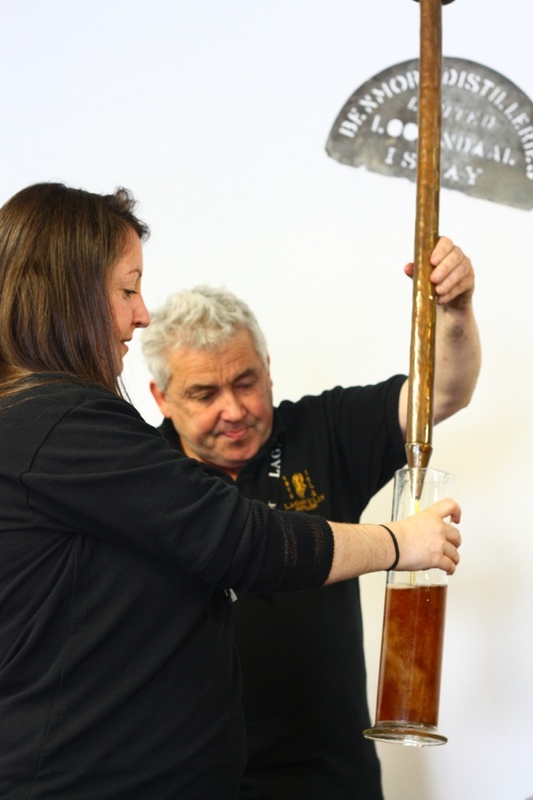 In fact, it’s this year’s second Whisky Fest held by N&P’s in Stourbridge after the hugely successful April show. The reason we can’t wait? Well just check out Nickolls and Perks website to see the array of whisky on offer at the show this year. 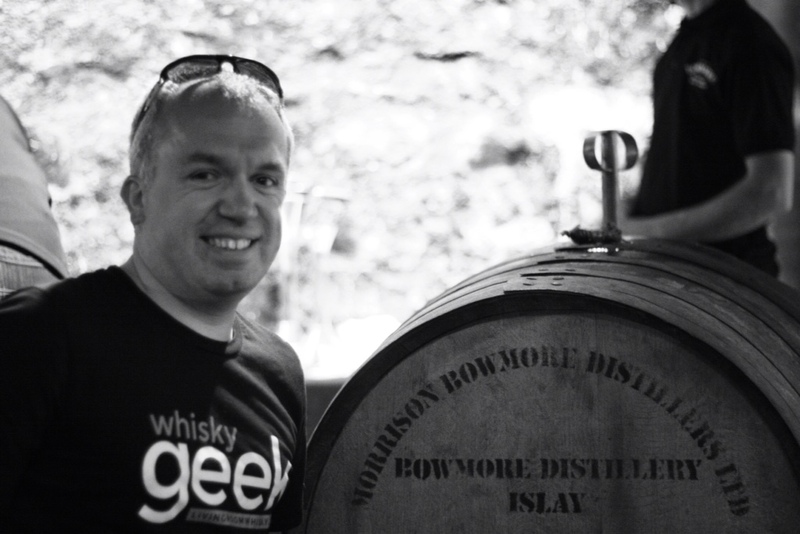 I’m particularly keen to check out some of the Japanese drams such as the acclaimed Yamazaki 18 and meet Melanie Stranger of Springbank, to get to try the latest batches of the Longrow Red and 12 year old cask strength on their first trip to England! 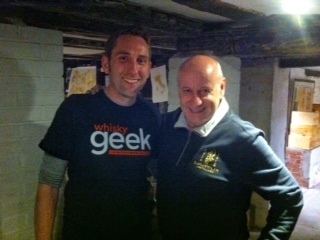 Yet another reason to get down to the Fest is to catch up with Diageo’s Colin Dunn, a regular on the whisky festival scene and frankly, for me, it ain’t a whisky festival if Colins not there! You see, I’ve come to regard Colin as whisky dad, he’ll tell you what’s what and put you right. He’s Doc Brown to my Marty McFly, Gandalf to my Frodo, my spirit sage. 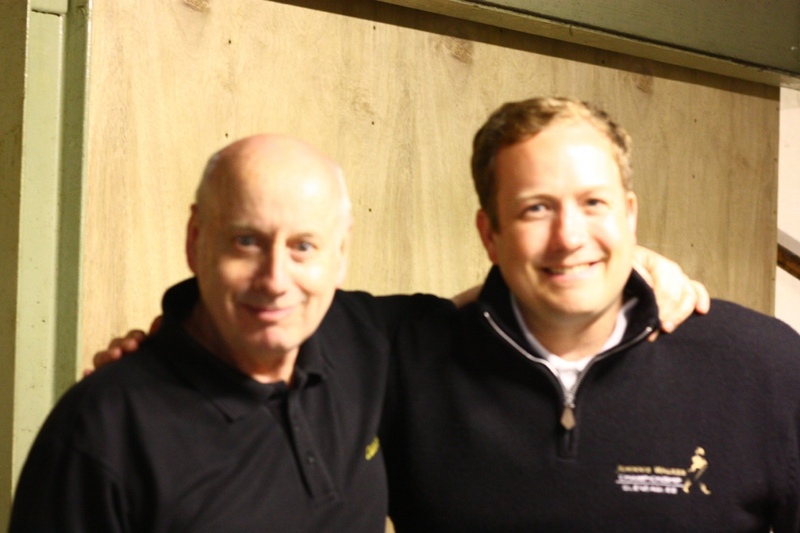 His energetic, entertaining and enlightening masterclasses have been highlights in my journey of whisky discovery. AND HE’S BACK! Colin will be hosting a masterclass into the delights of Lagavulin this weekend and it looks like it will be epically good! Yum! Including a special release of the Lagavulin 12 and the 2008 Feis Ile edition to tingle the tastebuds! Colin spins a great yarn and it was for a more intimate masterclass with him that we last ventured from the LivingRoom and out to Stourbridge. 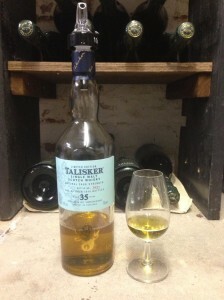 An evening with Colin Dunn and a romp through 7 magificent Taliskers. 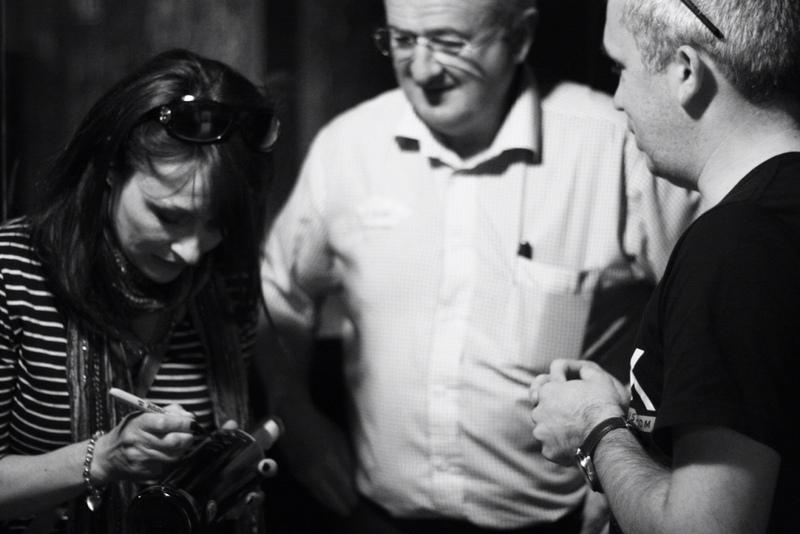 The cellars of the Nickolls and Perks shop provided an atospheric and cosy atmosphere in which to taste whisky with some familiar faces and knowledgeable enthusiasts. Highlights for me included my Talisker of choice, the classic 10 year old, one of the first whiskies I bought and still an old friend. The nose is full of salty and sweet notes, chocolate and fudge. It’s chilli heat on the tongue, zingy and oily. The finish sweetens with vanilla, licorice and lavender. One of my favourites. The 18 year old was fruitier, cherries and plums coated in that distinctive chilli peppery heat. As well as tasting the sweetly jammy Port Ruighe, we were also treated to the 35 year old. It was something else altogether, so fresh and zesty despite it’s age. Meadow flowers, limes on the nose and gentile pepperiness and vanilla fudge on the palate. A delicious finish of burnt embers and pepper bite. So friends, if you haven’t got your tickets yet, get one or at least check out some of the upcoming Nickolls and Perks Tasting events! Our friends at Douglas Laing know us well – not only did they send us a fabulous little collection of whisky from their Provenance range.. they sent us an exclusively Islay parcel of whiskies from their Provenance range! After being at the Feis Ile this year we’ve grown accustomed to drinking the lovely peaty stuff in the summer sun and so the recent arrival of the British summer provided an opportunity to dig out the shorts, the festival glasses and imagine the view from our humble Birmingham abodes was really the expanse of Loch Indaal! Douglas Laing had kindly sent us a sample of the recent launched Big Peat Small Batch (which is reviewed elsewhere on this site) and three single malts; one each from Caol Ila, Bowmore, and Laphroaig. Alongside a photo of each location from our recent trip, here are our thoughts on some really interesting Islay spirits. A lovely Caol Ila that is perfect for this time of year! 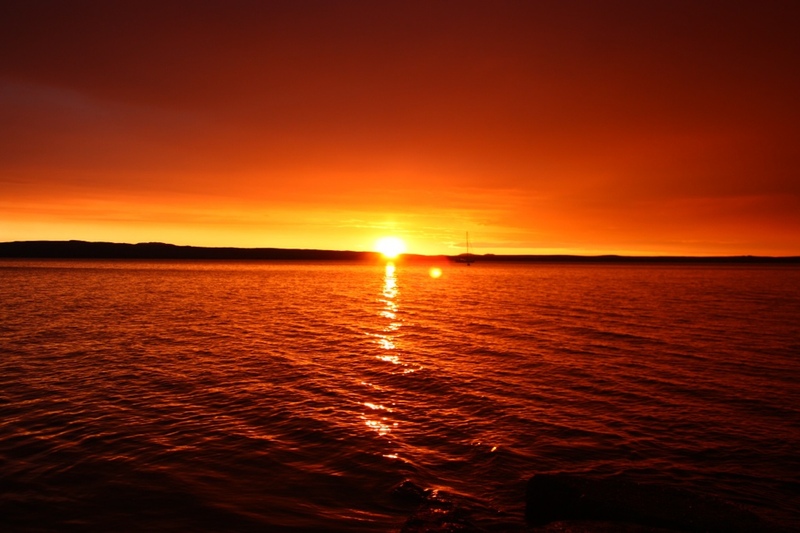 Reminded us of a summers day on the Isle of Islay. Sadly I found this whisky a bit too floral and fragrant for my taste, preferring the power of the earlier Caol Ila. 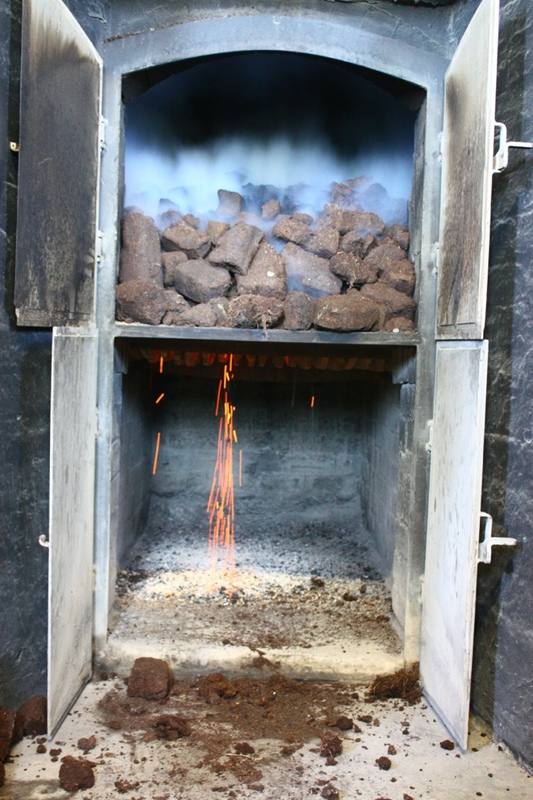 If you are looking for peat and smoke then I’d consider the Caol Ila or Laphroaig. If you enjoy the more perfume-y Islay’s then this may well be up your street! Nose: Quite savoury and floral (reminded me of slightly overcooked rosemary). Lots of damp warehouse notes wrapped in a smoked chocolate bar. 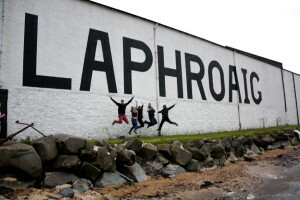 Laphroaig was the whisky that started it all for me [Jon] and this is another beautiful Laphroaig that shows off the quality of the distillery. No messing around just a fabulous 10 year old whisky that is well worth checking out. 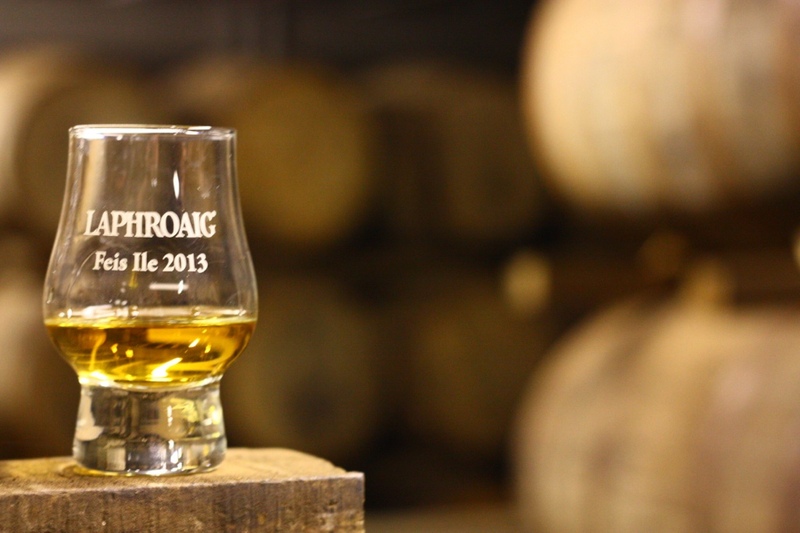 Palate: Sweet peat. This whisky tastes very raw and natural and benefits hugely from this. Lovely amount of spice and smoke. All in all we had a fantastic night sampling these whiskies. The favourite of the evening was the Laphroaig – it was intensely raw, almost like you could taste the constituent parts and it was very different to the distillery 10 year old so is well worth investigating for that something a little bit different! 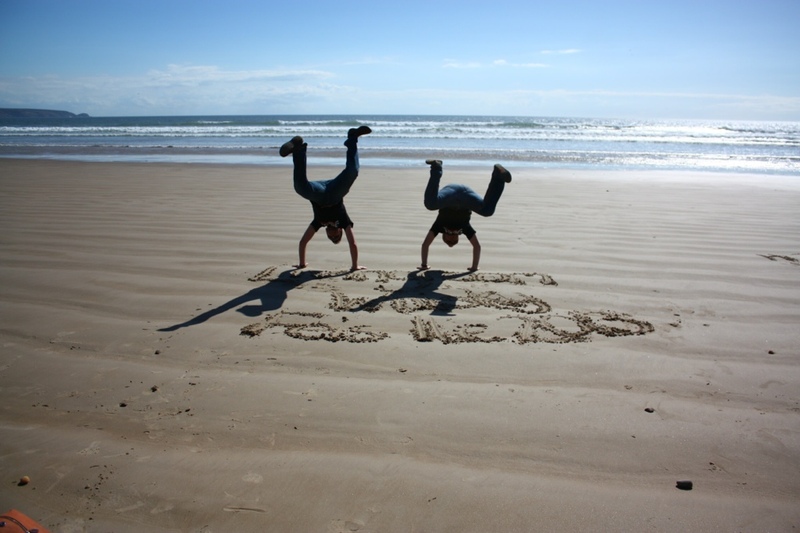 Thanks are due to Douglas Laing – we really can’t wait to see what you release next. Please do keep up the fabulous work! 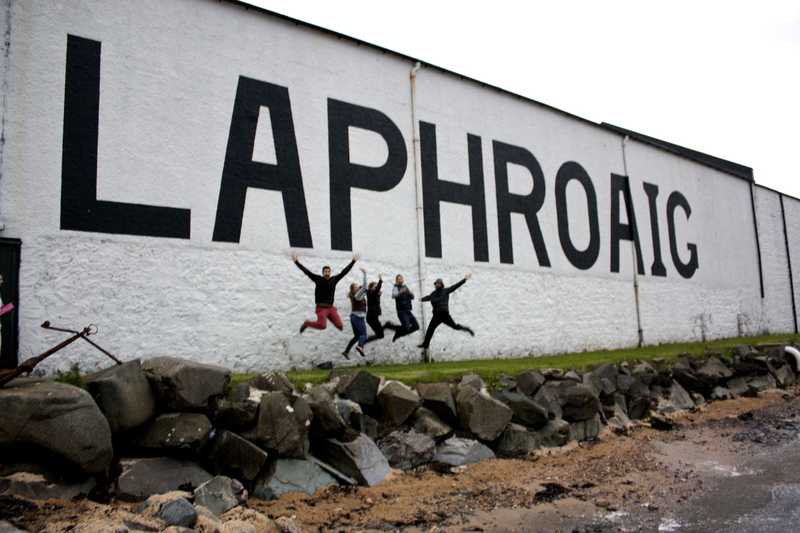 Tagged Bowmore, Caol Ila, Douglas Laing, Douglas Laing Provenance, Islay, Laphroaig. Tagged #iPed2013, Alligator, Ardbeg, Ardbog, Blasda, Galileo, Islay, Port Ellen, Port Ellen Kiln, Port Ellen Lighthouse, Still Young, That Boutique-y Whisky Company. Tagged Bowmore, Feis Ile, Feis Ile 2013, Islay, Kilchoman, Laphroaig, Machir Bay, Master of Malt. So how do you follow a fantastic Bruichladdich day?! Well, day three of the Feis belongs to Caol Ila, and it was with a increased sense of expectation that we headed down to Port Askaig. 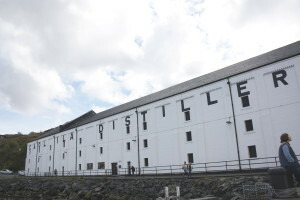 We were met by the friendly shuttle bus drivers taking the Feis folk down to the Caol Ila distillery itself. The day was bright and calm, another perfect Islay day! We were booked on to the Maturation Tasting with some Lagavulin royalty; Georgie Crawford, Lagavulin manager and Iain McArthur, a warehouseman with 40 years of experience. We were taken into the old cooperage with stunning views over to the Paps of Jura. The room was atmospheric of times and workers past, with rusting equipment and dusty log books lying around. The first dram of the morning was the Caol Ila new make spirit, with no colour at all it comes off the stills somewhere between 70 and 75% ABV. The nose is sweet and buttery, with wisps of smoke, pine resin, orchard fruits and some big peat notes. The palate fades instantly, but is strong, peaty and oily. Some of the Swedes in the group were happy to take it as it was, but we were to experience the effect the casks have on the spirit! The first whisky on the menu was drawn from the cask right where we were seated by Iain. 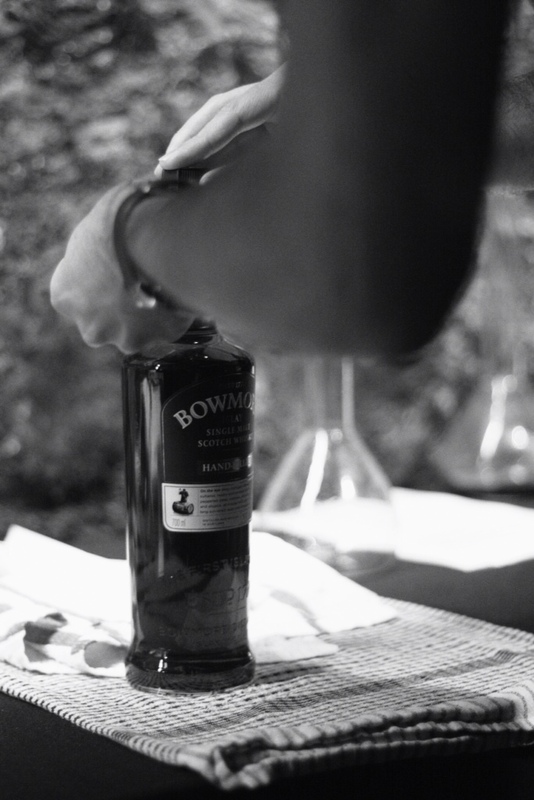 The whisky is 7 years old and has been happily maturing in a refill bourbon cask. At 61.5%, this is young and fresh with a classic Caol Ila profile. A pale amber hue, there was campfire smoke, lemon and some earthy peatiness on this chewy and moreish palate. The next whisky was a very different monster… A rich and sherried 25 year old! 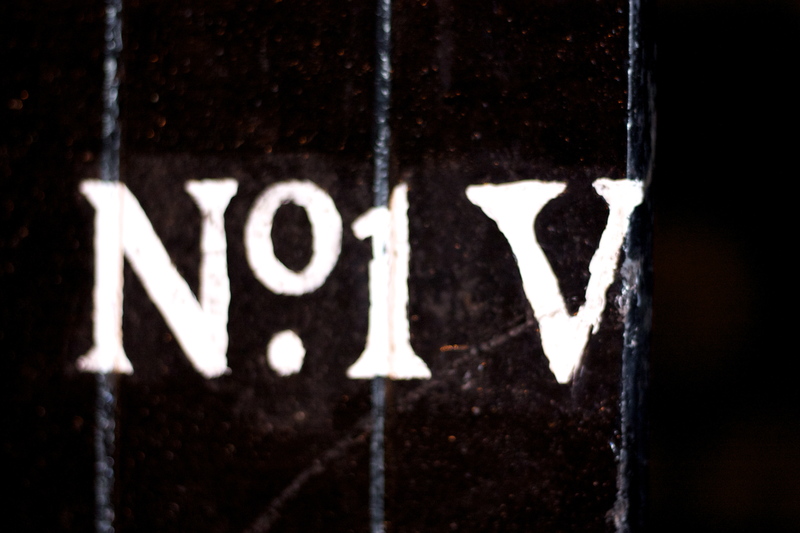 This dram had been kept in the depths of the Royal Lochnagar warehouses since 1988 for the training of new Diageo ambassadors. Finally, and luckily for us, it has been given a new lease of life entertaining the masses at the Feis Ile! The nose was deeply sherried, full of dark chocolate, treacle and red grape. It had lost some of the smoky undertone with the intensity of the sherry but was still deeply satisfying. The palate was spicy with some rich fruit. The finish was long and dry with some red grape skins and gentle smoke raising its head at the last. It came out of the casks at 54.6%. 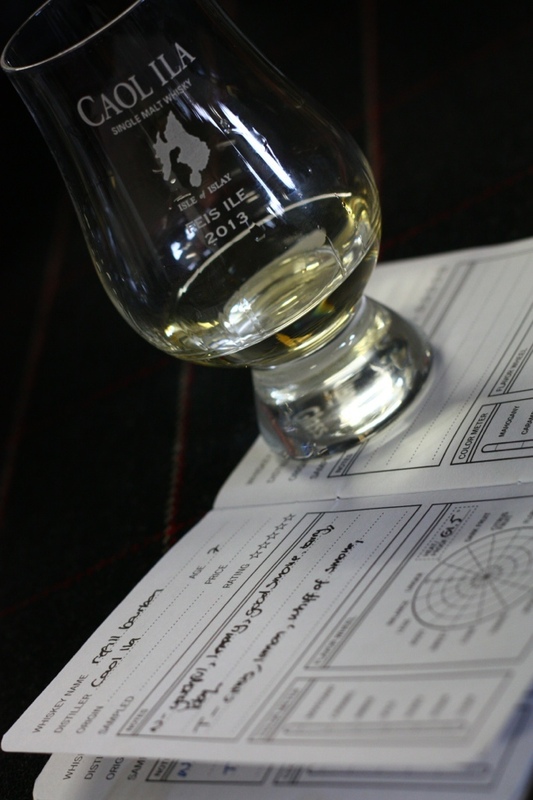 Then we were introduced to the Feis Ile 2013 bottling. Beginning it's life in 1998, this delightful Caol Ila has been triple matured in a combination of refill butts, hogsheads and barrels for 12 years. The vatted whisky was then allowed to mature in active hogshead casks for about two and a half years imparting spicy and oaky notes. The last six months of the maturation period was in European oak. 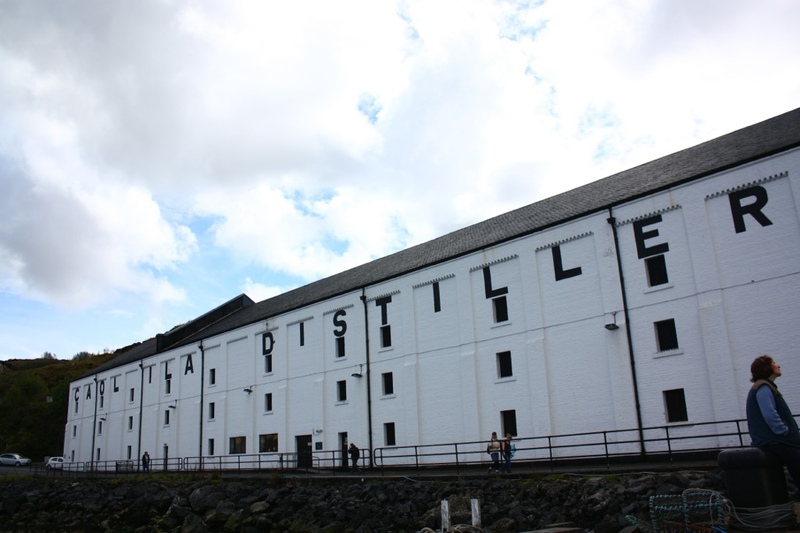 It was personally selected by the distillery manager Billy Stitchell and was very impressive. This is another classic Caol Ila, smokey and complex with vanilla, chewy toffee and red wine. Deliciously balanced. In a word – wonderful. We're taking one of the 3000 bottles home with us! It was a super masterclass with Georgie and Iain on great form, clearly enjoying their work and each others company. It was relaxed, fun and informative. It was great to see the whisky we were tasting coming straight from the casks and into our glasses with some charred flotsam and jetsam for free! We spent the rest of the day relaxing in the sunshine on the water front at Caol Ila. Apart from scallops fried in butter and Caol Ila 12 for Jon and a sausage sandwich for Mike, highlights included a cocktails class with Diageo whisky ambassadors Colin Dunn and David Sinclair, former bar manager of the Gleneagles Hotel. The cocktails were delicious and should be easy(ish) to replicate at home. We're already planning to start a bitters stash! David's Old Fashioned went down very well with our party. The afternoon culminated with a brilliant session of music and whisky introduced by Diageo's very own Jools Holland, Colin Dunn. The band, The Blueswater, delivered a blues and whisky inspired set which complemented the Coal Ila beautifully. It was a time to put the notebook down and just enjoy the music, the company, the setting and the drams. 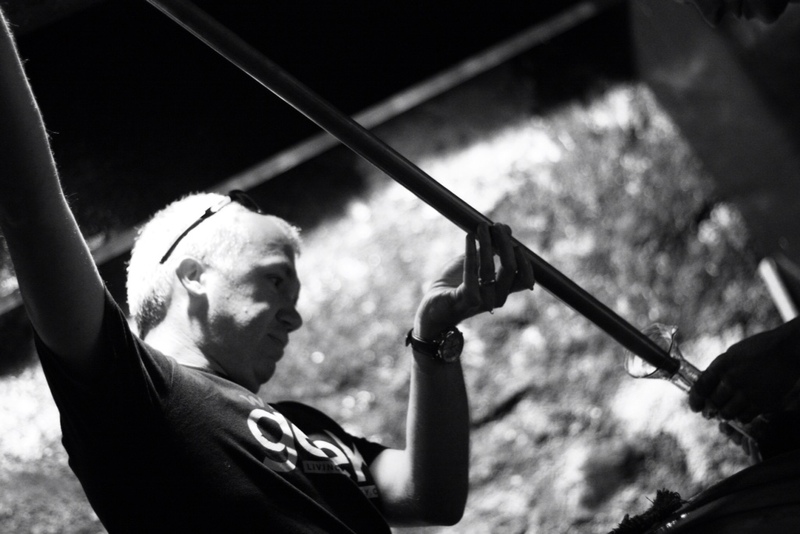 The day ended with the news that Caol Ila distillery manager Billy Stitchell would be retiring this year and that the 2013 Feis Ile would be his last. There will certainly be some emotional goodbyes in the course of this year for Billy, but it was wonderful to be able to show some of appreciation for his dedication and hard work. 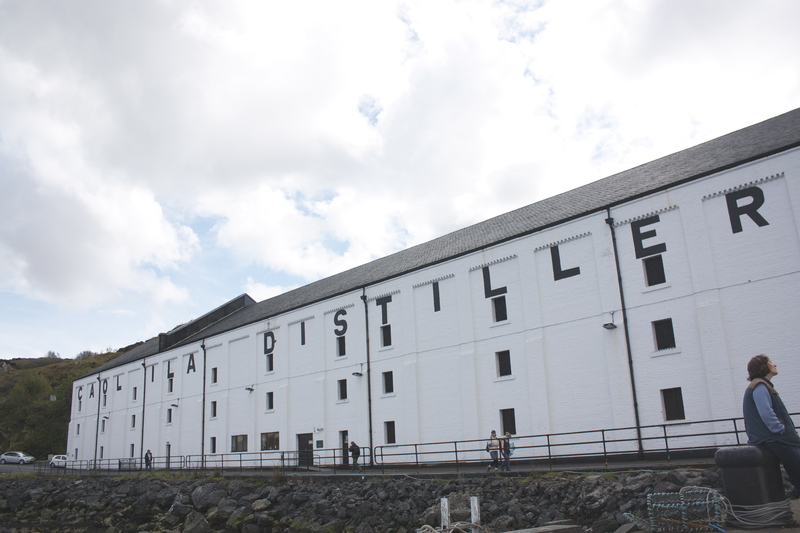 We had a great day at Caol Ila, relaxed our way through the afternoon and enjoyed some classic single malt. A perfect Feis experience.